You are here: Home » Finance » Why is Car Insurance Mandatory? With the steady increase in road accidents leading to damage to both the vehicles and people involved, the Government saw that it was necessary to intervene. Regardless of what precautions we might take, human error is unavoidable. Indian roads are a challenge on the best days, and this is especially so if the driver is incompetent or inexperienced. 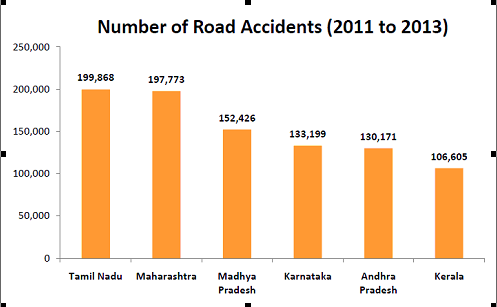 With the large amounts of traffic that ply in our cities, and limited manpower to ensure that road safety rules are followed, accidents are common. More often than not, a lack of experience causes people to make mistakes on the road that have a domino effect and result in huge traffic jams. This devolves into an accident if the driver then panics and reacts on impulse, driving into oncoming traffic or swerving into a different lane. It is also not uncommon to come across drivers who are intoxicated and driving erratically. Additionally, ‘amateur stunt-drivers’ are unfortunate recurrence on Indian roads, and illegal drag racing has been responsible for the loss of many lives. Accepting that there is only so much it can do to control and penalize its citizens, the Indian government focused on the advantages of car insurance. Under section 148 of the Motor Vehicles Act 1988, insurance against third-party risk was made compulsory for all vehicles plying on Indian roads. This means that if you are responsible for an accident, you will have insurance to cover the damage that you have caused. However this type of insurance does not necessarily cover you for the damages you have incurred. For that you’ll have to take a different kind of insurance out. There are two main types of motor vehicle insurance: Liability Only Cover and Comprehensive Cover. Liability only cover is also known as Act only cover, as this meets the basic requirements of the law. Under such a car insurance policy, you would not be held financially responsible for the damages you have caused in case of an accident. All reimbursements will be made through the insurance provider. Comprehensive or package cover is an insurance policy that covers any damages to your person or vehicle in the accident, and not just the ones that you have caused. This means that you will be reimbursed for the repair your vehicle might need and also receive a certain sum for your medical treatment. The advantages of buying car insurance become even more evident when you look at policies, like the one which also insure you against natural disasters and man-made ones like riots, theft, and terrorist activity and so on. Both kinds of insurance policies must be renewed on yearly basis. Regardless of the law, nearly a third of the cars on Indian roads today are uninsured because of the cost of the premium. The cost however should not prevent you from getting the best car insurance plan for yourself because insurance is a necessary investment for your future financial security. There are certain advantages of buying comprehensive insurance for your car apart from following the law. The most important aspect of a comprehensive insurance plan is that it ensures that you have the ability to pay for the damages that you have suffered, regardless of whose fault the accident is. This means that you won’t be in danger because the other parties in the accident did not have insurance. In case of an accident, you’ll be reimbursed for your medical bills as well as the damage to your car. Some policies also allow for co-passenger coverage, and compensation to your loved ones in the event of your death. If your car is unsalvageable, you’ll receive compensation up to the maximum amount determined by your premium. The premium depends on the make of your vehicle, its age and so on. Natural disasters like floods, earthquakes and cyclones have become commonplace, and there really isn’t anything you can do to prevent the damage to your vehicle when they strike. What you can do is ensure that your insurance policy covers you against these calamities and you’re financially secured. Similarly, public opinion is unpredictable, and a peaceful crowd can turn into a violent mob in the blink of an eye. If your vehicle happens to be in their way, it might suffer damage, and a liability only insurance policy will not help you at such a time. A good car insurance policy will make sure that you are covered in the case of such unexpected attacks and don’t have to shell out money for something you weren’t responsible for. There are a number of policy add-ons which you can choose depending on what is best for your car. A zero-depreciation policy lets you claim the full amount if your car needs parts replaced. You could also avail of services like towing and garage allowance that helps you manage travel expenses while your car is in repair, and determine your voluntary deductible on the basis of your budget. The government wanted to ensure that every vehicle owner was capable of at least meeting the expenses of the damage he had caused. But there a number of other advantages to buying car insurance when you consider a comprehensive policy. And remember, always make sure your insurance protects you in the case of an accident, and not just the others involved.